Hidden deep amid alligator swamps, spring break infested beaches and tourists sporting mouse ears, culture actually does exist in Florida. And to demonstrate this, I take you back to 2002. 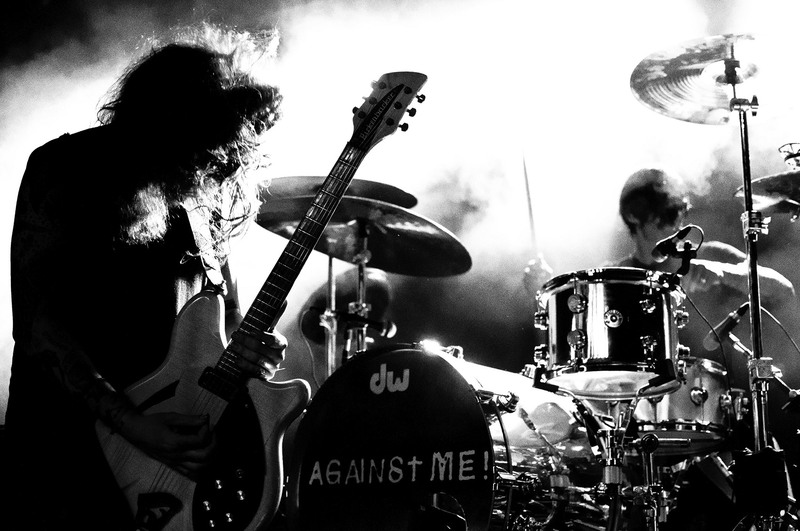 When the raucous, yet melodic four-piece band Against Me! put out a little album known as Reinventing Axl Rose. Released in 2002 by Gainesville’s No Idea Records, this album features two current Against Me! members—singer Laura Jane Grace (then known as Tom Gabel) and guitarist James Bowman who anyone growing up in the St. Pete/Tampa punk scene may recall from his days in The Scams. From the signature opening drumbeat of the first track title, “Pints of Guinness Make You Strong,” all the way to the slow, muted guitar introducing “Eight Full Hours of Sleep,” the concluding track, this album takes you on an emotional roller coaster representative of stubborn youth, nostalgia, unity, punk and, perhaps most importantly, some young musicians really doing what they believe in. But it’s track eight that I want to share with you here. Despite how uncool music snobs may find it to favor a title track, some are simply worth honoring. “Reinventing Axl Rose” pays homage to punk in its purest form—simplicity. Doing something for the sake of loving it, bringing together free-thinking people and not really expecting financial gain in return. This was always one of my Top 10 favorite Against Me! songs and it still is today. I remember the days of standing in the pit with one fist in the air, putting my arm around the person next to me while together we sang the “whoa-ohs” and just feeling so united, welcomed and content amongst both friends and strangers alike. Even in my adult life, this band and this song still have the power to move me. After not seeing many shows for a few years, I opted to see Against Me! on a whim in Brooklyn a few years back. I hadn’t really heard their newest album at the time, so I wasn’t expecting much. But as they opened up I was immediately taken back to that feeling of strength, optimism and hope for society that I’d experienced around 15 years ago when I’d first seen them perform… Then I went home and listened to their music for the next few weeks straight.